It's never too early to starting planning for summer! 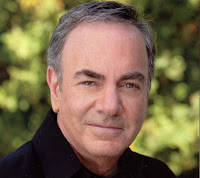 Neil Diamond Summerfest tickets are available for his concert at the Marcus Amphitheater on Sunday, July 8th, 2012, the final day of Summerfest. This should be a great concert--one that the whole family will enjoy. Neil Diamond has dazzled music fans for over five decades and is probably most well known for "Sweet Caroline." Diamond's Summerfest stop will be a part of his 2012 tour which is promoting his latest album, The Very Best of Neil Diamond. 2011 was a banner year of the 70-year-old singer as he was inducted into the Rock N' Roll Hall of Fame. Don't miss this opportunity to see one of pop music's most beloved stars!